What’s a group of adults craving a night out to do when their sweet tooth is calling? 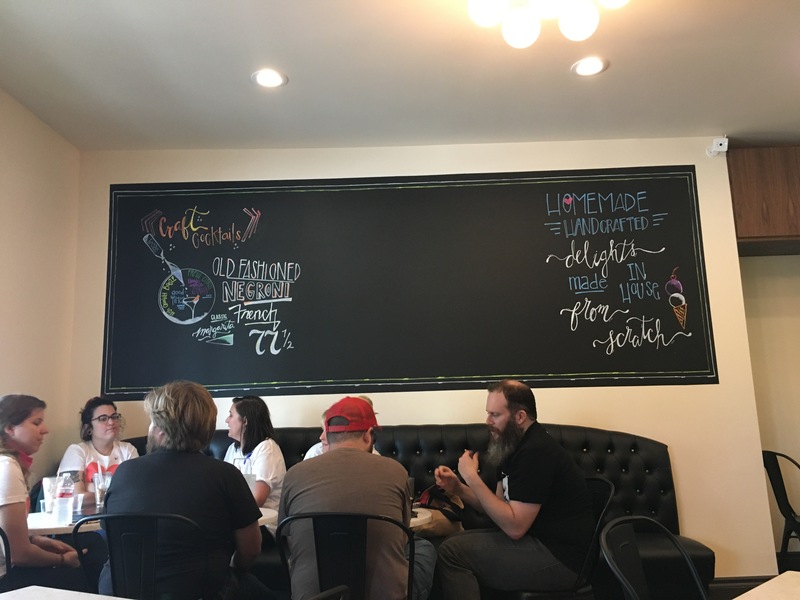 The average ice cream place, even if it’s an upscale parlor, caters to children and families, so even after 10 pm, it may not be a relaxing setting for your girls’ night or after-hours get together.Well, if you happen to be in Austin, you’ve got plenty of options. 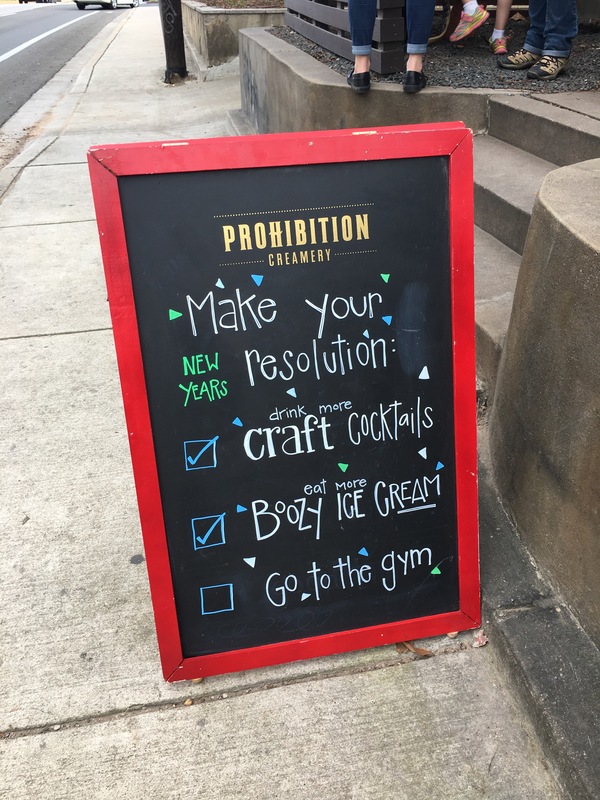 And one of them is Prohibition Creamery. 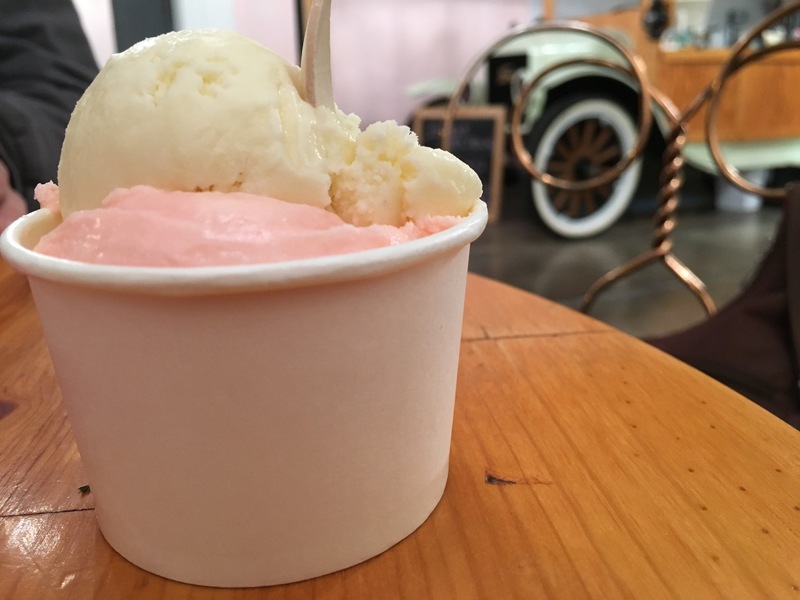 Although Austin has many delicious ice cream places to choose from, we visited there in an RV, so getting around was a challenge. 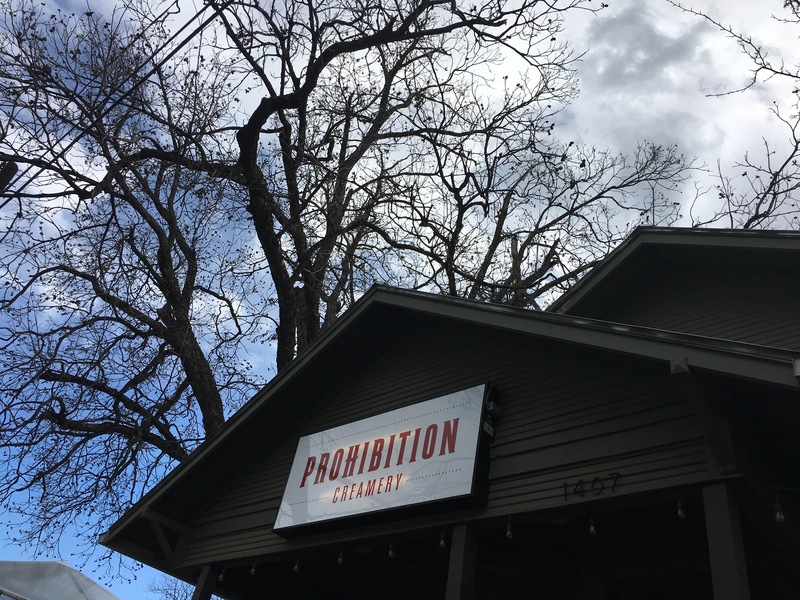 Lucky for us, we walked right by Prohibition Creamery after a long day of walking. There was no resisting their unique bar/homemade ice cream combination! I went with two flavors. They don’t carry a wide variety, but it’s a nice mixture of alcoholic and non-alcoholic ice cream. (And we saw a family drop in during the afternoon, so apparently that’s cool too, at least during the day.) Our thoughts are below. 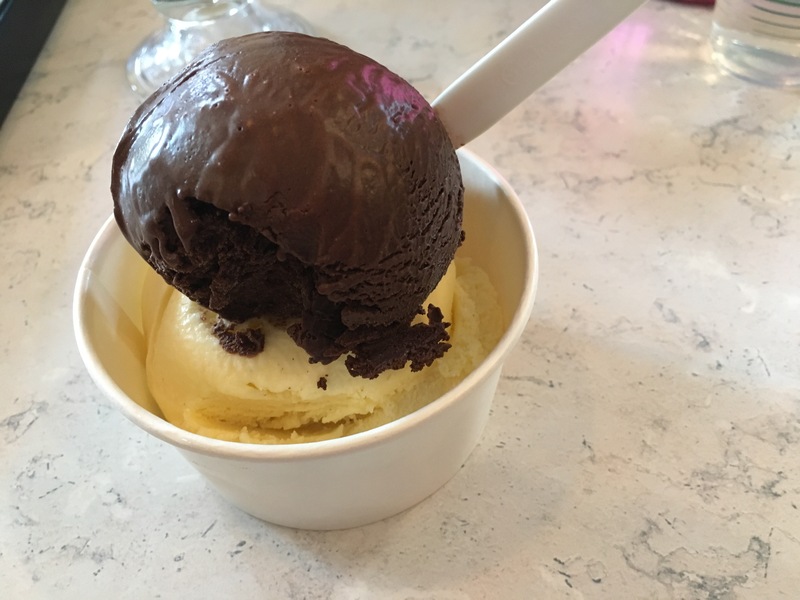 Dark Chocolate – This is actually a vegan sorbet. It was a little grainy, but honestly it was quite smooth for a sorbet, almost creamy. Ross said it began with a note of dark chocolate, then a bitterness, and finally a fruitiness. Unfortunately there was a bit of ice burn in one side of my scoop. The other side was just about perfect! Mezcal Vanilla – This is one of their boozy flavors. It’s fun! The alcohol is subtle and very complimentary. 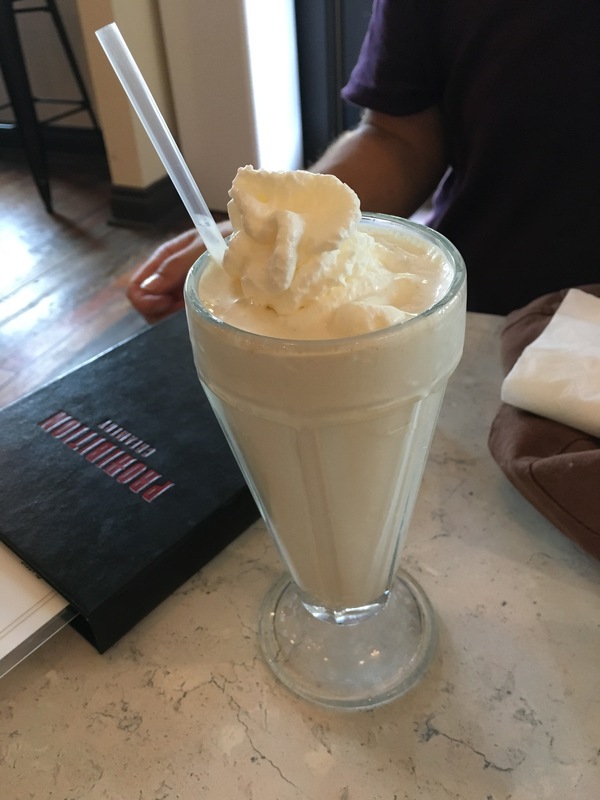 Triple Bourbon Milkshake – This was Ross’ selection. It includes bourbon, bourbon ice cream and bourbon whipped cream! He loved it and now has really high expectations for when we go back someday. Alcohol in ice cream is often subtle and perhaps much worse, just not done well. Alcohol messes with the chemistry of the ice cream, making it harder to execute well. Here overall it’s prominent and done well since it’s basically what they do! This place isn’t cheap. 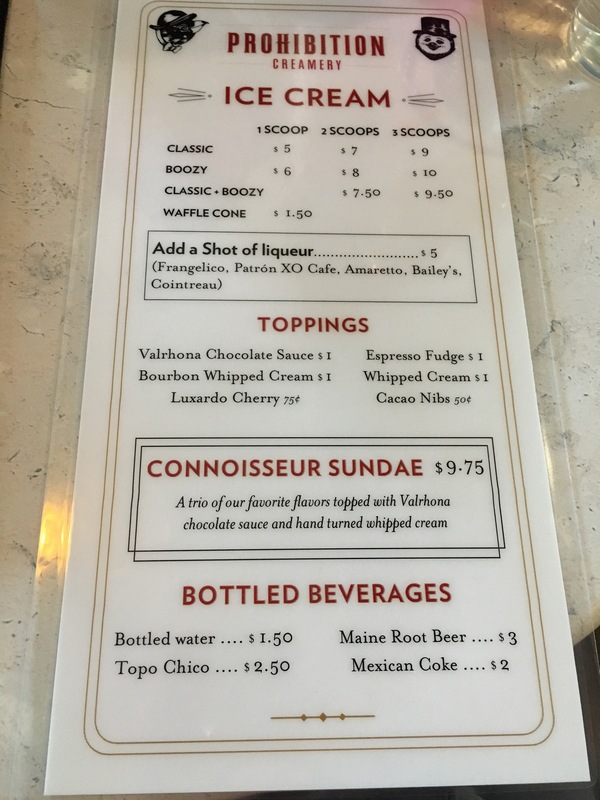 You’ll spend much more here then you’d expect in your average ice cream parlor. And of course alcohol always will increase your costs. But we highly recommend giving them a shot. As Ross said, “If we lived here, this could be where we had all our business meetings.” I love that there’s a place to accommodate my crazy sweet tooth and Ross’ desire for a drink. 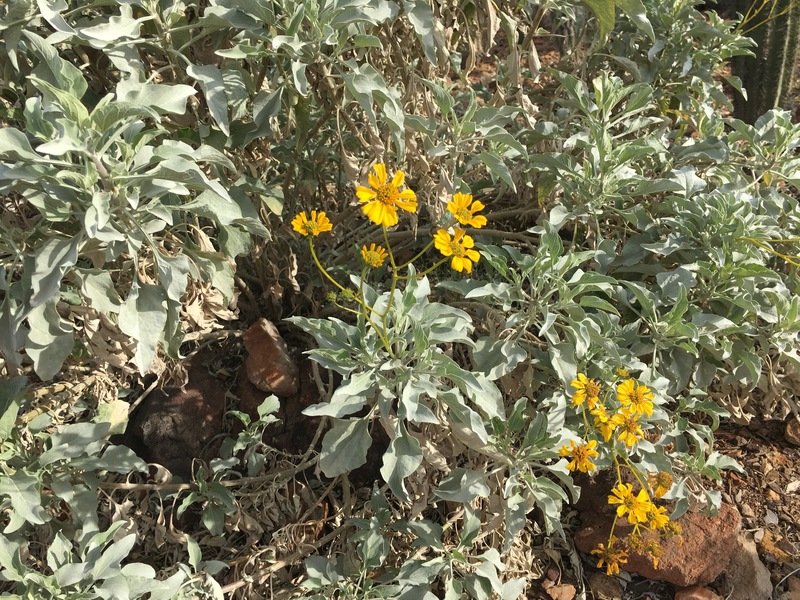 Have you been to Austin? Where do you recommend for an ice cream treat? 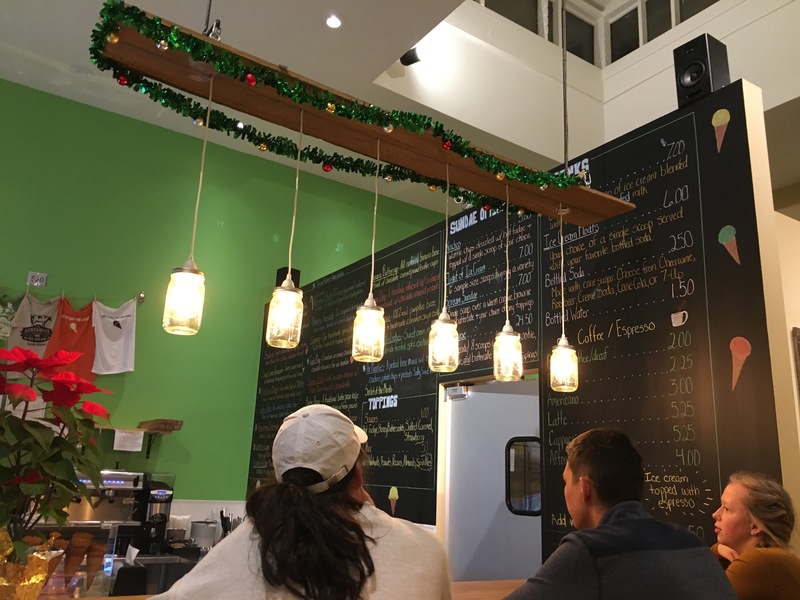 My husband﻿ and I were lucky enough to spend a few weeks in Tucson, Arizona this past winter (mid-December to early January), so I made a point of seeking out homemade ice cream options in the area. 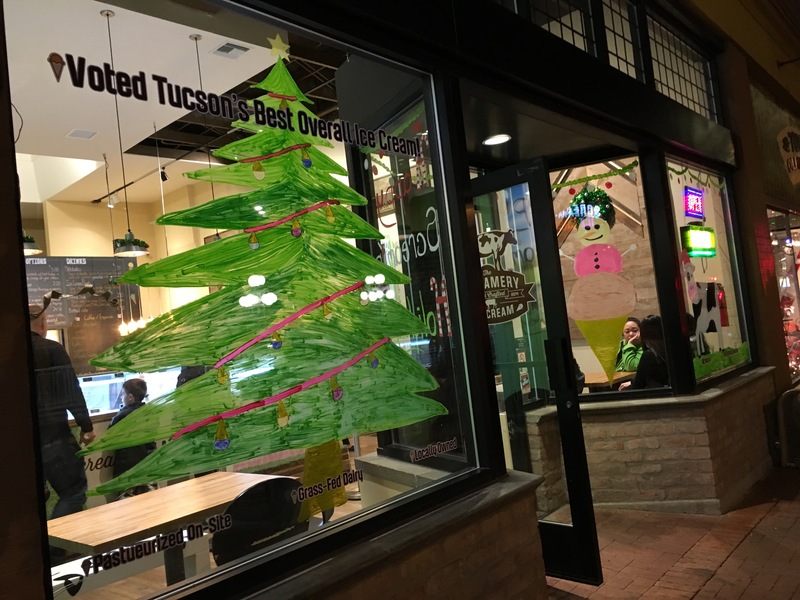 Tucson has many ice cream places to choose from, and we really loved their downtown, so it was a no-brainer to get a dish or two. 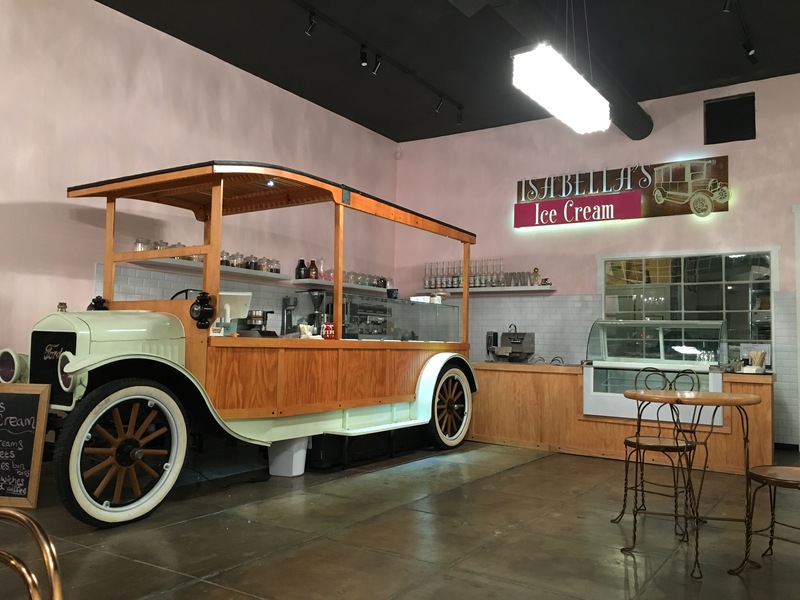 Our first planned stop was Isabella’s. Next to a fun used bookstore, Isabella’s was having their electricity redone the day we visited, so much of their ice cream wasn’t in great shape. 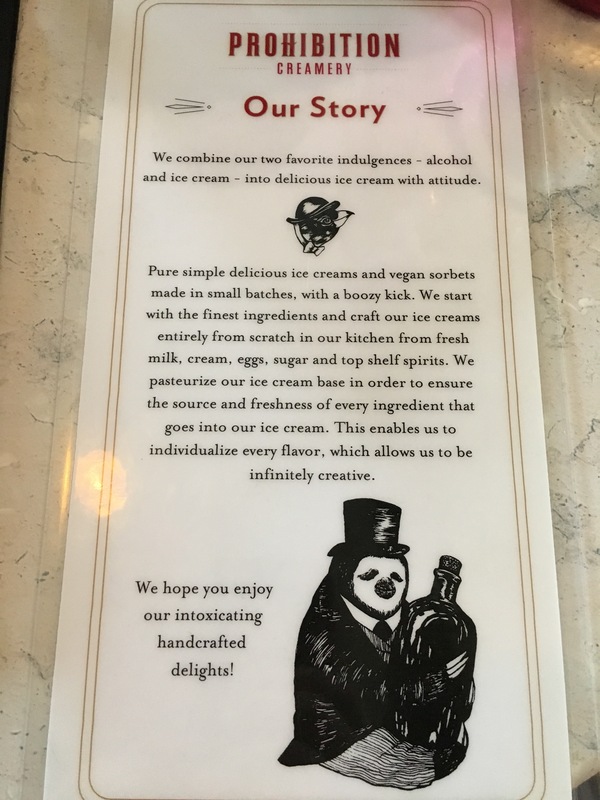 While we can’t be sure the ice cream was their best effort, we enjoyed their service and the cute, very small ice cream parlor on our visit. Honey – Although it wasn’t my favorite honey of all time, this is a lovely showcase, creamy and a delicious flavor. 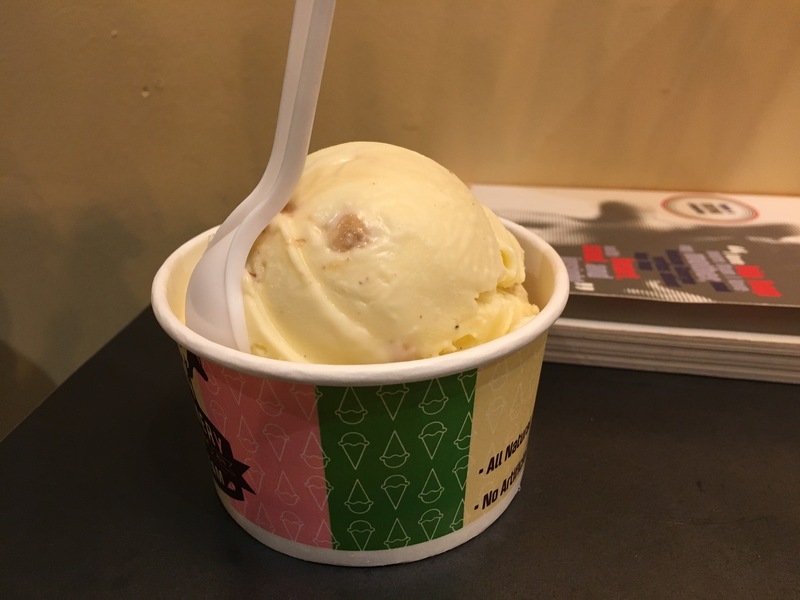 Salted Caramel Pecan – A nice, milky flavor, with a tanginess like buttermilk – but the flavor lacked something and took a while to hit. Pretty average. Candy Cane – Everything you want in candy cane ice cream – except I’d have liked more pieces mixed in. Pretty great. Lavender Vanilla – Not as strong as Jordan’s but I’m a sucker for lavender and definitely found this flavor delightful. Full disclosure: we paid $3.25 plus tax on two 4 ounce portions thanks to a coupon from the bookstore next door, The Bookstop! Overall thoughts: The mouthfeel on these was a bit hard, almost icy, despite the creaminess overall. The flavors were generally great though. It felt average overall, not living up to its goals, but we owe them another try on a day without a power loss! 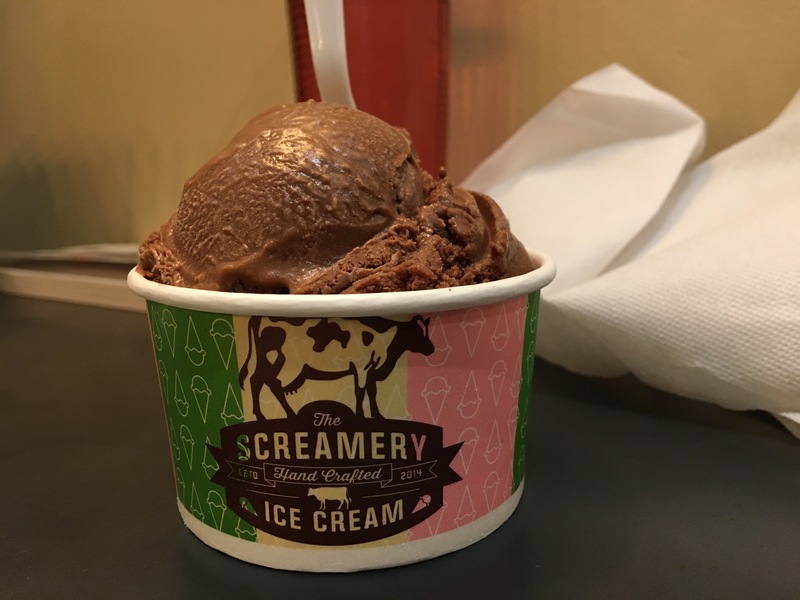 The atmosphere at the Screamery was very family-friendly and the employee who assisted us was very friendly and laid back as he told us about the grass-fed cream, pasteurized on site, used in their ice cream. 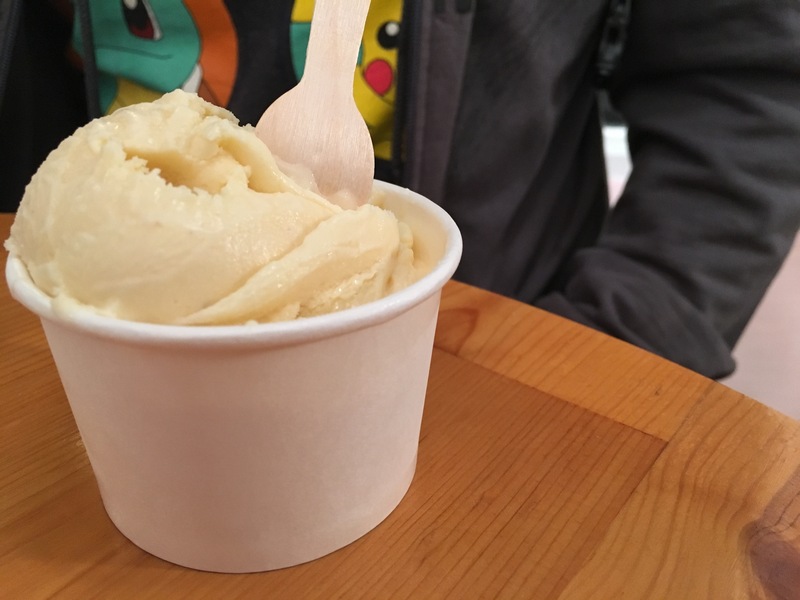 Bourbon Brittle – This was a bit smoother and creamier than the coconut milk base; its traditional dairy ice cream. There was a bit of iciness on top. $9.73 for the two of us for their middle size – plenty but somewhat over-prices compared to what we’ve seen in other places. This flavor is very rich and sweet, starting like sugar on snow but with a darker, richer aftertaste from the bourbon. Unfortunately the brittle seemed cheap – reminiscent of baking chocolate, it was kind of chalky. 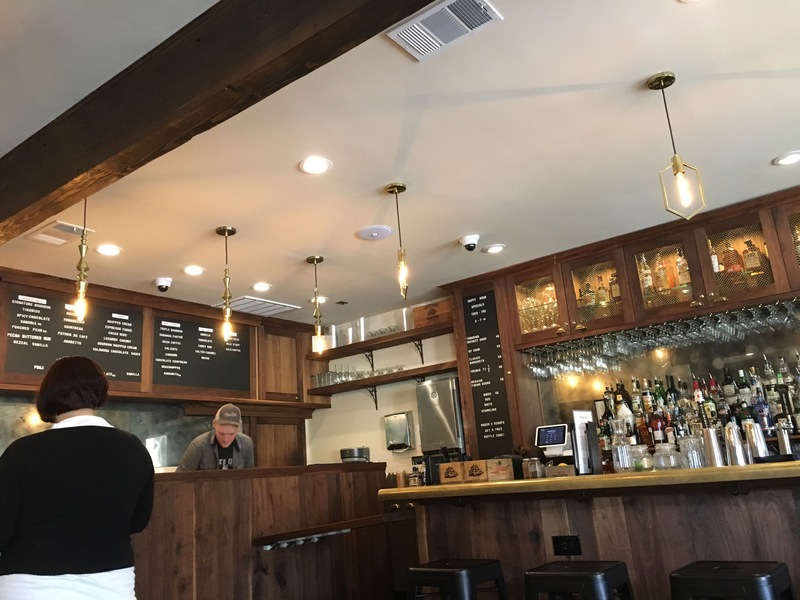 Overall: More average than we expected given the price and fancy grass-fed dairy. I was disappointed to see ice and cheap brittle used. Like Isabella’s, it strove for a lot but didn’t quite hit the mark. Some day we want to try the ice cream nachos, which look plentiful and fun.